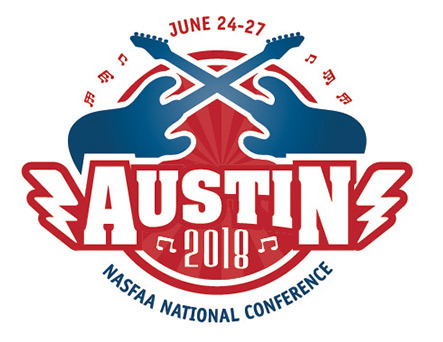 NASFAA was thrilled to have U.S. Army combat veteran, best-selling author, and CEO of the Robin Hood foundation, Wes Moore, as the opening session speaker at the 2018 NASFAA National Conference in Austin, TX. Moore shared his remarkable personal story of overcoming adversity through education, embracing personal responsibility and emerging as an inspirational leader. His moving life journey from wayward inner city youth to decorated veteran, Rhodes Scholar, White House fellow and business leader is the subject of the much-anticipated major motion picture, "The Other Wes Moore" from executive producer Oprah Winfrey. 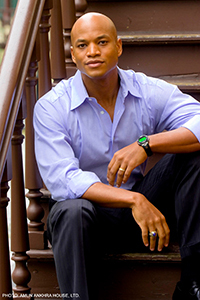 Based on his New York Times bestseller, "The Other Wes Moore" tells the story of how educational opportunities, strong parental influence, mentors and a community support network helped him transcend the fate of a man with the same name who lived just blocks away and took a tragically different path to prison. Moore serves as chief executive of the Robin Hood foundation, one of the nation's largest foundations with a sole focus on alleviating poverty. He is also founder of BridgeEdu, an organization that provides support to students as they try to navigate higher education. Previously, he worked on Wall Street and was named one of the top young business leaders by Crain's New York Business. Moore served as a White House fellow and special assistant to Secretary of State Condoleezza Rice. He is also a retired, decorated combat veteran and officer who served a tour of duty in the elite 82nd Airborne division of the U.S. Army in Afghanistan. His decade of military service inspired him to become a passionate voice for veterans, executive producing and hosting "Coming Back with Wes Moore," a PBS miniseries about the challenges facing returning Iraq and Afghanistan vets. Moore is the author of four books including the New York Times bestseller "The Work: My Search for a Life that Matters" and a contributor to the Huffington Post, The Times and NBC News. He also hosted "Beyond Belief" on the Oprah Winfrey Network, "American Graduate Day" on PBS and executive produced the 2016 critically-acclaimed PBS series "All the Difference," chronicling two African-American teens from Chicago's South Side pursuing their dream of graduating from college. Moore is a graduate of Johns Hopkins University. He was awarded a Rhodes Scholarship to study at the University of Oxford, earning a MLitt in international relations and affairs. NASFAA was pleased to have subject matter expert Lena Tenney leading Sunday's Pre-Conference Diversity Event on implicit bias. Since 2016, Tenney has served as a researcher and facilitation specialist at The Ohio State University Kirwan Institute for the Study of Race and Ethnicity's Race & Cognition Program. In this role, Tenney works collaboratively to conduct research and facilitate workshops, presentations, and trainings about implicit bias and structural racism. Tenney, who graduated from the University of Oklahoma with a Master's of Education and a Master's of Public Administration, is a co-author of the 2017 edition of the Kirwan Institute’s “State of the Science: Implicit Bias Review” publication and a founding member of two grassroots community activist groups that have sought to ensure legal protections for and institutional inclusion of LGBTQ+ individuals at the municipal and campus levels. 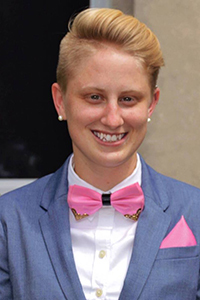 Additionally, Tenney serves on the LGBTQ Student Success Task Force for The Ohio State University and as a member of the Board of Directors for TransOhio—a statewide non-profit organization dedicated to advocating for transgender individuals and communities. As a trained intergroup dialogue facilitator, Tenney is interested in continually identifying and implementing strategies that encourage active engagement with topics that are often considered difficult to discuss. These approaches include public engagement through social and traditional media in addition to in-person facilitations. Using an engaging and participatory structure, Sunday's Pre-Conference Diversity Event reinforced NASFAA’s commitment to diversity and equipped attendees with a deeper understanding of the ways in which our implicit associations, that operate unconsciously outside our awareness and often times conflict with our explicit beliefs, impact our decision making. Attendees and registered participants can revisit this session through NASFAA Live.